Oklahoma City Thunder @ New Orleans Pelicans (Western Conference) NBA Betting preview for Wednesday, December 12, 2018. Written by National Basketball Association ATS Analyst Charlie Red McDougall. Charliessports.com produces it for Basketball Betting. NBA Daily Betting Picks are the best in the industry and will continue through the NBA Finals in June of 2019. We’re always providing BETTOR Friendly cards. Our signature 500* premium ATS Predictions are unreal & I promise you won’t regret purchasing, cash in Daily. 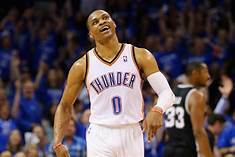 The (17-8) SU, (15-10) Oklahoma City Thunder have won five of their last six including a 122-113 home victory over Utah as 5 point home FAVORITES ATS on December 10th. Oklahoma City is on top of their division and leads Golden State for the best record in the Western Conference. They’ll be playing four of their next six on the road with crucial games at Northwest foes Denver and Utah. Oklahoma City is 14-6 ATS their last twenty overall. The Thunder are 6-2 AGAINST THE POINT SPREAD their last eight vs. New Orleans. The OVER is 6-1 the last seven between the teams in New Orleans. Over bettors have cashed Oklahoma City last five vs.Teams with an SU losing record. The (14-15) SU, (13-16) ATS New Orleans Pelicans return home after a two-game road trip in which they beat Detroit and lost to Boston. After beginning the 2018-19 season with four consecutive SU wins the Pelicans are trending downwards with a 10-15 SU/ATS record. They’re fourth in the Southwest division, two and a half game behind first-place Memphis. UNDER Bettors have cashed in New Orleans last three games. The Pelicans are 2-3 AGAINST THE POINT SPREAD their last five at home. New Orleans is 4-11 ATS their last fifteen at home against Oklahoma City. The OVER is 4-0 the Pelicans last four vs. — teams with a winning percentage above 60. Wednesday’s game is 8:05 PM EST at Smoothie Kings Arena adjacent to the Mercedes Benz Superdome in New Orleans, Louisiana. The ESPN Television Network will be broadcasting. The Betting Line has Oklahoma City a 2 point road UNDERDOG ATS. The TOTAL is 234 points for Wednesday’s contest. After losing to Utah in the first round of the 2017-18 playoffs, Oklahoma City General Manager Sam Presti found at the hard way that Super teams don’t always work. Russell Westbrook and Paul George are still around, but they decided Carmelo Anthony wasn’t a good fit. 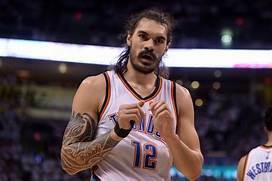 Center Steven Adams (15.4) points per game is turning into a threat on offense. Adman outplayed Pelicans star Anthony Davis in their November 6th meeting. The Thunder average (111.6) ppg while allowing opponents (104.7) points per contest. George (24.3) ppg leads the Thunder in scoring, but everything runs through Westbrook who’s only played in 17 games. An indication of how much he means to the franchise; they began the season 0-4 while he was rehabilitating his knee. Oklahoma City is at their best when in transition scoring a league-best (16.2) ppg on turnovers. The Thunder also leads the NBA with (12.0) offensive rebounds per contest, (10.0) steals and they force a league-high (18.0) turnovers per game. The addition of Dennis Schroeder adds quickness to the second unit. Head Coach Billy Donovan has a scrappy bunch, he’s sold them on the idea they can win with extensive effort, and it’s showing. A key to a Thunder win is Adams making Davis into a mid-range shooter. Bovada.Lv list the Oklahoma City Thunder win total at 48′ games for 2018-19. Pelican head coach Alvin Gentry must find way’s for his team to fight through a stretch where they’ve played 17 games in 30 days. 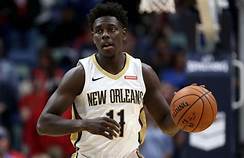 Also, Jrue Holiday along with Anthony Davis leads the league in minutes played this season. Fatigue showed up their last game which was part of back to back at Boston without E’Twaun Moore (14.0) ppg, Nikola Mirotic (17.4) ppg, and Elfrid Payton in the lineup. While Moore is listed as day to day, Mirotic and, Payton have no timetable to return. Julius Randle (19.2) points per contest are showing he’s capable of attention from opposing defenses since coming to New Orleans for the Lakers; he’s also one of the five former University of Kentucky Wildcats on the roster. The Pelicans average (117.4) ppg which ranks 2nd in the NBA but the (115.6) ppg they allow opponents is the third worst league-wide. New Orleans is (10-4) ATS at home this season while the Thunder have a (7-5) ATS road record. Davis has heard all the whispers of how Adam’s is turning into an elite player and will be out to show he’s untouchable. Also, the matchup between former UCLA standouts Holiday and Westbrook is must-see television, and it’s why ESPN is showing the game. Both teams are in the top seven in rebounding; does New Orleans have enough in the tank to get the win tonight in front of the home crowd? Bovada.Lv list the New Orleans Pelicans win total at 45′ games for 2018-19. Free Pick. New Orleans+1′. Also Play Online Poker Plus Other Casino Games and enter some of the best Tournaments on the World Wide Web. New England Patriots @ Chicago Bears 2018 Week 7 National Football League Betting Preview for October 21st. Written by Winning NFL ATS Handicapper Bobby Wallace. Charliessports.com produces it for Football News. NFL Expert Point Spread Predictions are the best in the industry. We buried the board going 3-0 on Sunday, October 14, 2018, on 500* Signature Selections. So make the smart decision and win alongside us, Enjoy the games! The (4-2) SU, 3-3 ATS New England Patriots, are rounding into what we thought they would be after two consecutive early season road loses as ATS favorites. New England beat Kansas City in a Monday Night thriller on October 14th but couldn’t cover as a 3 and a half point ATS home favorite. Rookie running back Sony Michel is making a strong statement for rookie of the year consideration as he rushed for 106 yards on twenty-four attempts with two touchdowns. The Patriots defense forced much talked about Chiefs quarterback Patrick Mahomes into throwing two interceptions. New England is 9-1 ATS their last ten on the road vs. Teams with a winning home record. The UNDER has cashed in for the betting public 5 of the Patriots last six following a POINT SPREAD loss. The Patriots are 14-5 ATS their last 19 road games. OVER bettors have had a winning ticket in four of the previous five meetings between the teams. The (3-2) SU/ATS Chicago Bears let a golden opportunity slip away last week in a 31-28 road loss to Miami as a 7 and a half point favorite ATS. Backup quarterback Brock Osweiler threw for 380 yards for Miami and didn’t know he would be the starter until a few hours before kickoff. Chicago went into the locker room down 7-0 at halftime before the South Florida humidity took its toll on both defenses. The teams combined for 52 second-half points and the Bears had a chance for the win, but kicker Cody Parkey missed a field goal. Chicago is 1-4 ATS their last five games in Week 7. The Bears have gone OVER three times this season while staying UNDER twice. The home team is 4-1 ATS the last five times they’ve played. Chicago is 6-0-1 ATS their last seven at home vs. teams with a winning road record. Kickoff will be Sunday, October 21, 2018. Game time is at 1:00 PM EST at Soldier Field near Lake Michigan on the South Side of Chicago, Illinois. The CBS Television Network will be broadcasting. The Betting Line has Chicago three-point home UNDERDOG ATS. The TOTAL is forty-nine and a half points for Sunday’s contest. 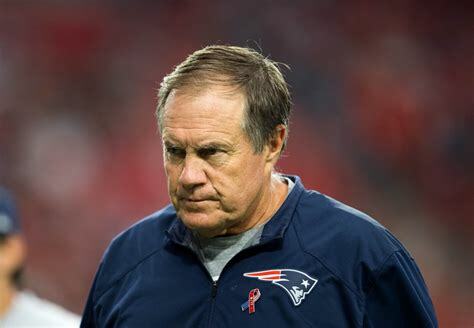 As usual, the New England Patriots are back in form, but that’s how Bill Belichick wants it to be. The hoodie is done experimenting with players and has a good idea of his lineup the rest of the season. After handing the Kansas City Chiefs their first loss of the season Belichick and future hall of fame quarterback Tom Brady are ready to defend the AFC title. The “GOAT” leads a unit that ranks 1st in the NFL in total offense with 2,287 total yards. Ft. Lauderdale Florida natives James White along with rookie Michel lead the 10th ranked rushing attack with 738 yards on the ground. They’ve scored 176 points through six games which are second in the National Football League. Although former defensive coordinator Matt Patricia is now the head coach in Detroit, they’re still stable allowing opponents to score 148 points, 5th league-wide. They’ve allowed opposing offenses 2,276 total yards, which is 29th in the NFL. The unit surrenders 5.9 yards per play with the pass defense 6.7 yards per pass attempt. After losing their only two road games played in the 2018 season, you’ll see a different mindset from the Patriots and the betting public will have plenty of action on this contest. Bovada.Lv, list the New England Patriots at +245 to win the 2018-19 AFC Championship. First-year head coach Matt Nagy looks like a veteran on the sidelines and has made all the right decisions. The Bears sit at the top of the NFC North division with four of their next five in the Windy City. Weather conditions like they played in last Sunday will not be a factor the rest of the season, but Sunday’s opponent knows how to win. Second-year signal caller Mitchell Trubisky had another solid effort, with 316 passing yards, three touchdowns last Sunday in the Sunshine State. The Bears offense isn’t on the level of the Patriots yet; they’ve scored 139 points which is 29th in the NFL. 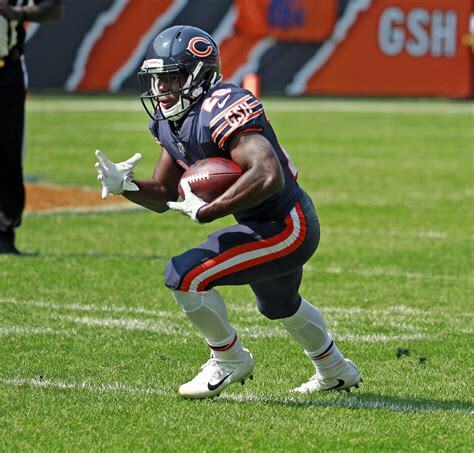 Running Backs Jordan Howard and Tarik Cohen lead the league’s 16th ranked rushing attack. Cohen who played at an HBS institute is turning head around the NFL this season with his ability to take it the distance anytime he touches the football. The signing of All-Pro Khalil Mack was a statement to the NFC North division, and he’s paying immediate dividends; the former Raider is nursing a sore ankle but will be ready to get a steady pass rush on Brady. The Bears have allowed 96 points which is ninth in the league. They’ve surrendered 1,719 total yards to the opposition which is 10th in the NFL, but they’ll have their work cut out against the prolific Patriots offense. 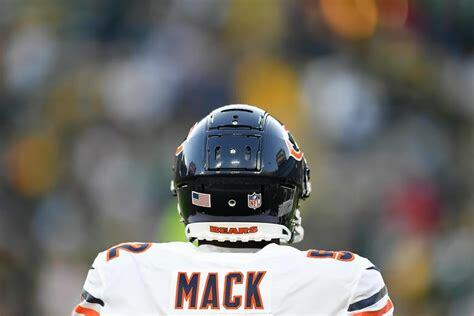 Chicago must apply constant pressure to Brady and they have the personnel to get it done with speedy linebackers Roquan Smith and Leonard Floyd assisting Mack. Bovada.Lv, list the Chicago Bears at +250 to win the 2018-19 NFC North Crown. Free Pick. Bears+3′. Also Play Online Poker Plus Other Casino Games and enter some of the best Tournaments on the World Wide Web. Buffalo Bills @ Houston Texans 2018 Week 6 NFL Betting Preview for October 14. Written by Winning National Football League Point Spread Expert Al Presto. Charliessports.com produces it for Football News. NFL Point Spread Betting Predictions are the best in the industry. We buried the board going on 500* Signature NFL/NCAA Football selections from Thursday, October 4th through Monday, October 8th. So make the smart decision and win alongside us, Enjoy the games! The (2-3) SU/ATS Buffalo Bills beat Tennessee last week 13-12 with a 46-yard field goal with no time remaining as a 6-point ATS home UNDERDOG. Buffalo produced 223 yards of offense with 144 on the ground. LeSean McCoy ran the ball twenty-four times for 85 yards. 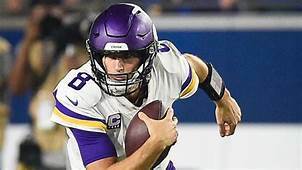 Buffalo also went on the road and beat a heavily favored Minnesota Vikings team 27-6 SU as a 16 Point road UNDERDOG ATS. The Bills have not been an ATS Favorite this season. Buffalo is 0-5 ATS their last five on the road vs. Teams with a losing home record. The OVER has cashed in for the betting public four times the Bills last four games after allowing less than 150 passing yards the previous game. The UNDER is 5-2 Buffalo last seven games. UNDER bettors have been profitable when wagering on Buffalo four of their last five on the road. The (2-3) SU, 1-4 ATS Houston Texans needed overtime to get both wins this season. Houston began the season losing three straight by an average of five points. They beat Dallas last Sunday on a field goal with under two minutes remaining in the extra period but failed as a 3′ points home favorite ATS. Houston produced 462 total yards of offense in the win with just 88 on the ground. Houston is 0-4 ATS their last four at home, but the favorite is 4-0 ATS the previous four between the teams. The UNDER is 4-2 the Texans last six at home. Houston is 1-9 ATS their last ten overall dating back to the 2017-18 season. The Texans are 0-6 ATS in their last six after gaining more than 350 total yards in the previous game. Kickoff will be Sunday, October 14, 2018. 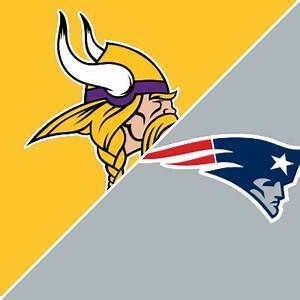 Game time is at 1:00 PM EST at the NRG stadium next to the old Astrodome in suburban Houston, Texas. The CBS Television Network will be broadcasting. The Betting Line has Buffalo an eight and a half point road underdog ATS. The TOTAL is forty-one points for Sunday’s contest. 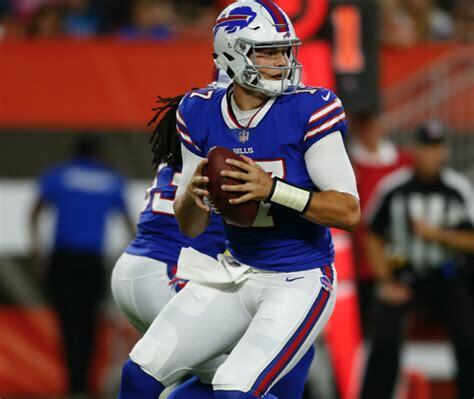 Rookie quarterback Josh Allen has won over fans in Western New York with a sense of toughness that reminds many of hall of Famer Jim Kelly. The 2018 first round draft pick from the University of Wyoming threw for 89 yards completing 10 of 19 passes last week. 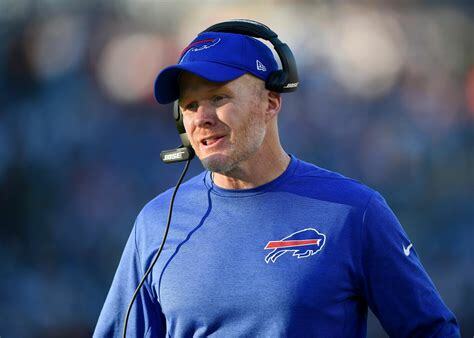 Head Coach Sean McDermott is leaning heavy of the rushing attack in his second season on the sideline with the goal getting into the playoff again in 2018. Last week the offense ran the ball 43 times with only 20 passing plays and the unit scores just 12.6 ppg which is last in the NFL. They average 3.64 yards per play of which 121.8 yards per game is produced through the air while 99.4 happens in the running attack. The Bills defense allowed Tennessee 221 total yards with 121 coming through the air. Defensive coordinator Leslie Frazier took a lot of criticism from McDermott early in the season; however, they seem to be on the same page the past few weeks. The unit gives up 330 yards per game with 3.9 yards per rush on an average of 24 carries a game. Buffalo wants to run the Football, but they aren’t afraid to let Alen take some risks which they’ll have to do Sunday. Bovada.Lv, list the Buffalo Bills at +2,800 to win the 2018-19 AFC East Championship. The Houston Texas are right back in the AFC South race with two consecutive wins. Although Buffalo did the Texans a massive favor by beat their divisional rivals Tennessee Titans they’ll probably wait until after the game for congratulations. 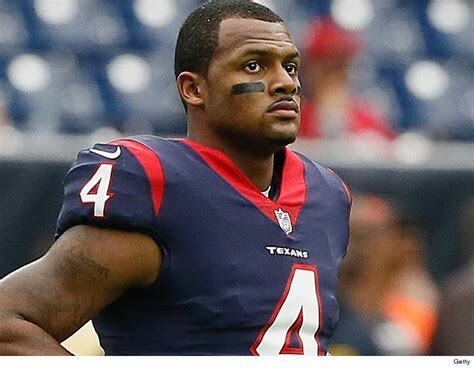 Second-year quarterback Deshaun Watson is hitting on all cylinders after missing most of his rookie campaign with his second ACL injury since his freshman season at Clemson. Head Coach Bill O’Brien isn’t worried about his star signal-caller taking to many hits because he has a sense of toughness just like the coach. O’Brien would like more touchdowns instead of field goals, especially in the red zone. Houston averages 307.2 yards per game through the air which is seventh league-wide. Running Back, Lamar Miller who missed the last game with a chest injury should be ready for action Sunday. Defensive stars J.J Watt and Jadeveon Clowney have the unique ability to take over football games, but they haven’t done it this season. Opposing offenses are gaining an average of 269.2 yards per game through the air while scoring 24.8 ppg. Houston must get off the field on third downs and force Allen to beat them with his arm. Bovada.Lv, list the Houston Texans at +400 to win the 2018-19 AFC South Division Title. Free Pick. Houston-8′. Also Play Online Poker Plus Other Casino Games and enter some of the best Tournaments on the World Wide Web. College Football Point Spread Picks, and Odds: 2015 Louisville Cardinals Football Preview. Written and authored by NCAA Football Expert Analyst AL Presto. Charliessports.com produces it for NCAA Football news and notes. Louisville Head Coach Bobby Petrino enters his second season, in his second tenure at the “U of L”. The Cardinals return nine players from the 2014 squad that went 9-4 overall, 5-3in ACC action. Louisville plays in the Atlantic Division of the ACC. Louisville lost to Georgia 37-14 in the 2014 Belk Bowl. Petrino will have to do one of his best coaching jobs this season. Petrino is starting to recruit players who suit his style of play. The Louisville Cardinals plays home games at Papa John’s Cardinal Stadium in Louisville, Kentucky. Five starters return to the Louisville offense. Sophomore quarterback Reggie Bonnafon saw extensive action as a true freshman in 2014 and is set to be the starter this season. Also in the mix is last season’s leading passer Will Gardner (1,669) passing yards, who is returning from a knee injury. Junior running back Bradon Radcliff (737) yards in 2014 will be featured in the backfield. Offensive coordinator Garrick McGee has to find a core of receivers to replace NFL first-round draft pick, Devante Parker. The group lost a lot of talent from last season. The problem is going to be on the offensive line, where only one starter returns. The Louisville coaching staff has to find ways to protect whoever is under center. The lack of talent and depth on the O-line will be crucial. The Louisville Cardinals went 7-6 on Football Expert Predictions last season, going over the betting odds total five times, staying under the betting odds total seven times with a push. *The Louisville offense put up 394.7 yards per game last season, 73rd nationally. *Loiusville went 2-5 Against The Number at Papa Johns Cardinal Stadium last season. *The Cardinals were 5-1 ATS on the road. *The betting odds total was 3-3-1 at home in 2014. *Louisville went over the betting odds total twice away from “DERBY CITY” last season. *The Louisville Cardinals stayed under the betting odds total four times on the road. *The Louisville passing attack ranked 47th in the country last season, with 252.0 yards per contest. *The Cardinals scored 31.2 ppg, 53rd in the FBS. *The Cardinals running game was 95th in the NCAA Football landscape, averaging 142.7 yards per contest on the ground. Defensive End Sheldon Rankins is the best player on the Cardinals defense and he can rush the passer. Former TCU standout Devonte Fields and James Burgess are very active linebackers. Defensive Coordinator Todd Grantham will use various packages this season using his athletes to make plays. There is talent in the young secondary, but expect them to get tested often. The Louisville defense lost a fourth-round NFL draft pick and many other parts. The key to success this season is for the defense to create turnovers. *The Louisville defense gave up an average of 308.6 yards per game, 6th in the land. *The Cardinals pass defense was 27th in the FBS, allowing the opposition 199.6 yards per contest throwing the football. *Louisville gave up 21.8 ppg, 25th in College Football. *The Louisville rush defense was 10th in the NCAA Football, giving up 109.0 yards per game on the ground. *Louisville will begin the 2015 season in a non-conference game vs. The Auburn Tigers in Atlanta. The “CARDS” end the 2015 regular season at SEC and in-state rival Kentucky. *Louisvile host Clemson in a crucial early ACC matchup in Week 2 of the season. Bovada lists the Louisville Cardinals at over/under seven and a half wins in 2015. 2015 NCAA Football Expert Picks, and Odds: 2015 Wisconsin Badgers Football Preview. Written and authored by NCAA Football Expert Analyst Charlie Red McDougall. Charliessports.com produces it for NCAA Football news and notes. Former Wisconsin offensive line coach Paul Chryst is back at his alma mater running the show. The Wisconsin athletic department hired the native son away from the University of Pittsburgh. Chryst is where he wants to be and has ten starters returning on both sides of the football in 2015. Wisconsin went 11-3lastseason, 7-1 in conference play. Wisconsin lost badly to Ohio State in the Big-Ten Championship game but beat Auburn in the 2015 Outback Bowl. The Badgers have plenty of talent to contend on the national scene this season. The Wisconsin Badgers plays home games at 80,000 seat Camp Randall Stadium in Madison, Wisconsin. Four starters including senior quarterback Joel Stave (1,350) passing yards last season return. The Badgers offense will be without first-round NFL draft pick, Melvin Gordon. Junior Corey Clement (949) rushing yards in 2014 is set to become the man in the Wisconsin backfield. Senior wideout Alex Erickson (772) receiving yards is going to be again the main target in the passing game. Chryst specialty is the o-line, and he must replace three starters. Wisconsin has a long tradition of offensive line play, and the coaching staff will have bodies in place. The Wisconsin Badgers went 6-8 on Sports Handicappers Point Spread Predictions last season, going over the betting odds total seven times, staying under the betting odds total five times with two pushes. *The Wisconsin offense put up 468.9 yards per contest last season, 22nd nationally. *The Badgers were 4-4 ATS in Madison last season. *Wisconsin went 2-4 Against The Number on the road. *The betting odds total went 5-2-1 at Camp Randall in 2014. *Wisconsin went over the betting odds total twice on the road. *The Badgers stayed under the betting odds total three times with a push on the road. *The Badgers passing attack was 118th in College Football, with 148.7 yards per game through the air. *Wisconsin ranked 29th in the FBS putting points on the board, they averaged 34.6 ppg last season. *The potent Wisconsin running game was 4th in the NCAA Football landscape, averaging 320.1 yards per game. The Wisconsin secondary has talent and experience to match the best in the Big-Ten. Cornerbacks Darius Hillary and Sojourn Shelton have started fifty-one NCAA Football games. Senior captain Michael Caputo will make the calls from his safety position. The Wisconsin defense also has playmakers at the linebacker position, especially on the outside. Inside linebacker T.J. Edwards is a redshirt freshman who showed his skill set in the spring. The defensive line will be a work in progress. Wisconsin will find players who can stop the run and provide a pass rush. *The Badgers defense gave up an average of 294.1 yards per contest, fourth in College Football. *The Wisconsin pass defense gave up 168.0 yards per game through the air last season, 4th in the FBS. *The opposition scored 20.0 ppg in 2014, 17th nationally. *The Badgers run defense was 23rd in the NCAA football landscape, giving up 126.1 yards per contest on the ground. *Wisconsin opens up the 2015 season in a nationally televised contest in Dallas, Texas against Alabama. *Wisconsin avoids Ohio State, Michigan, and Michigan State this season. Bovada lists the Wisconsin Badgers at over/under ten wins in 2015. NCAA Basketball Expert Picks: 35 Second Shot Block in Question. Written and authored by NCAA Basketball Expert Analyst Charlie McDougall. Charliessports.com produces it for Basketball new. The College Basketball game is slowing down. In watching recent ESPN telecast. Many former players report the game is being over-coached. The shot clock began for Men College Basketball in the 1994-94 season and instead of scoring increasing it’s slowing the game down. The Atlantic Coast Conference is going to experiment with using a 30-second shot clock in exhibition games for Men College Basketball in the 2015-16 season. The game is heading in this direction because it makes games more interesting. Watching Connecticut win the NCAA March Madness Tournament in 2011 and again in 2014 were painful to watch. This Sports Handicapper remembers the high scoring UNLV and Duke shootouts in the early 1990’s when College Basketball was at its high point. Take, for instance, a team like Virginia, who is on top in the ACC. Head Coach Tony Bennett play’s a slow down style and fans at John Paul Jones Arena celebrate home wins without hesitation. One problem is coaches realize most of the young players coming into the NCAA Basketball landscape have limited shooting skills. College Basketball coaches realize that there is an AAU situation that is out of control. High School stars are being told by to work on athletic ability instead of fundamentals and it’s breeding a culture of delusional thinking. Future young stars are more concerned about their vertical jump than basic Basketball skills. The NBA has a 24-second shot clock, and NCAA Women’s has a thirty-second one. It is now time for NCAA Basketball Expert Picks to take a serious look at what is going on and how it is affecting Television ratings. One good thing that would happen is it would increase possessions and force players to play with more instinct. Louisville Head Coach Rick Pitino deserves credit for pushing the pace in the NCAA Tournament. The Cardinals play painfully slow during the regular season, but when the bright lights of March begin, the Cards are off and running. It would be awesome to watch individual players become more relevant instead of coaches over doing it. There are many ways’s to improve the College Basketball landscape. More offense is a must. Going Forward, it’s going to be up to the people in Indianapolis to make it happen. The game is changing, but human nature is the same, people want to see the ball go through the basket at a feverish rate. Former Butler and current Boston Celtics head man Brad Stevens over did it in the Bulldogs back to back final four appearances. The 2010 team had the horses to run with Duke but chose to play conservative. The Bulldogs were the darlings of the Tournament and didn’t take advantage of it. The same thing happened in the 2011 season when they lost 53-41 to Connecticut. Butler had three NBA style player., Stevens wanted to do it his way and by that time people got burned out on the Bulldogs style. No one ever wants to witness that style of Basketball in the NCAA Finals again.